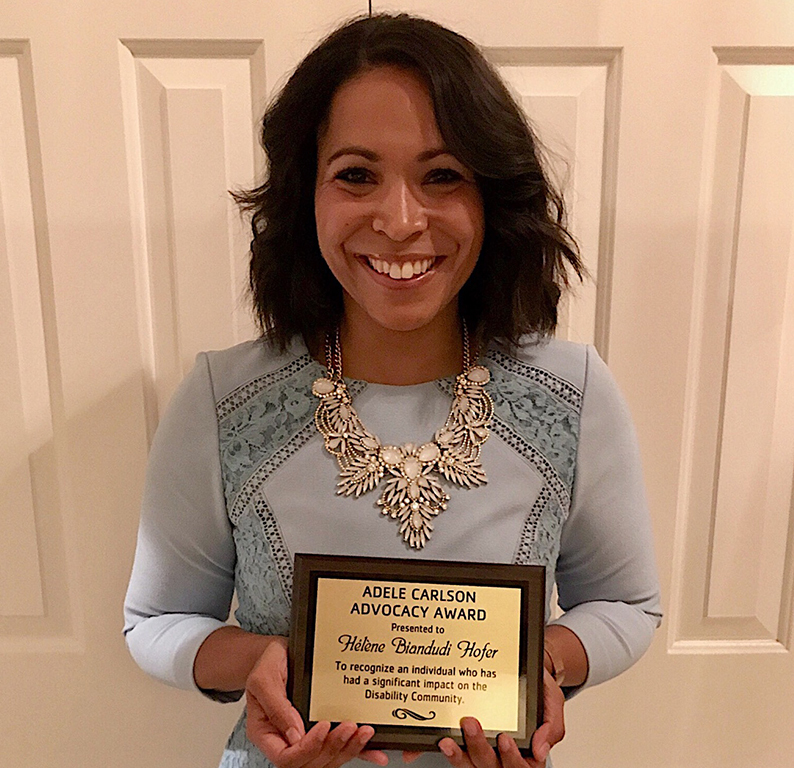 Hofer received the Adele Carlson Advocacy Award in recognition of her extensive coverage on disability issues. Her coverage is part of WXXI’s on-going Move to Include initiative in partnership with the Golisano Foundation. Hofer joined WXXI in September 2010 as the host of All Things Considered and became the host and producer of the award-winning series Need to Know in 2013. Prior to WXXI, she worked at the CBS Primetime show 48 Hours Mystery in New York City. While at CBS she contributed to several documentary specials for the network including the tragedy at Virginia Tech, the tribute to news icon Walter Cronkite, the inauguration of Barack Obama and the CBS/VOGUE Fashion’s Night Out program. CDR also honored Monroe County Clerk Adam Bello and Rochester Spinal Association with ADA awards. CDR is a disability led, not-for-profit corporation, providing services to people with disabilities and seniors within the framework of an Independent Living Model. CDR works for national, state, and local systemic change to advance the rights of people with disabilities by supporting direct action, coalition building, community organizing, policy analysis, litigation, training for advocates, and community education. CDR advocates for the full integration, independence and civil rights of individuals with disabilities.